Boca Raton is teaming with luxury real estate firms, and Boca Luxury Realty was ready to stand out from the crowd. Of course, distinguishing the brokerage was no easy task, so they approached our Boca Raton marketing agency for a little help. Fun fact? We love a good challenge. 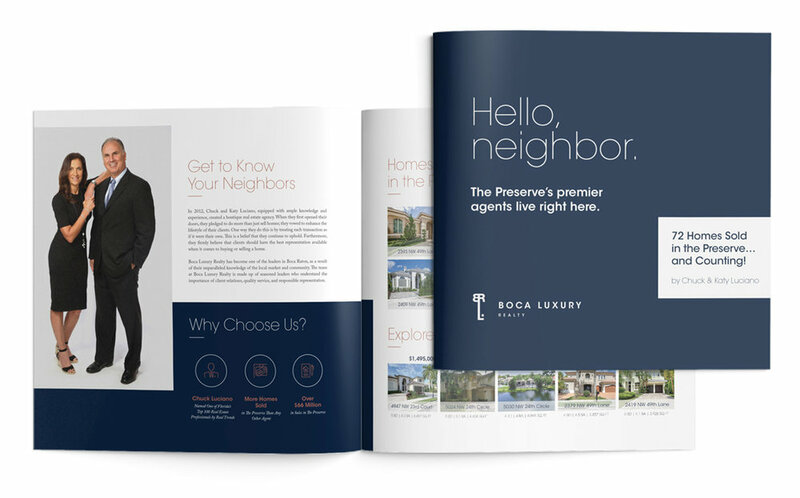 Boca Luxury Realty needed a solid brand from which its marketing efforts could grow. After being presented with a trio of logo suites, the owner of the firm decided on the "key" symbol, and thus a new brand direction was born. 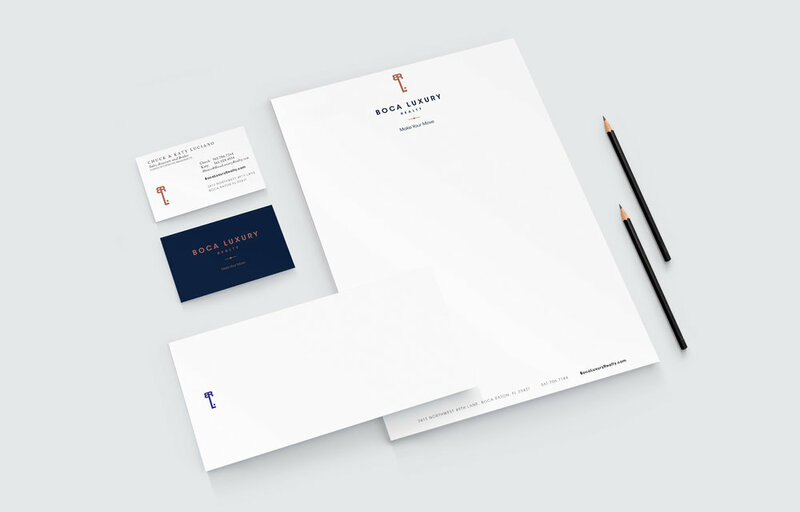 The color palette, logo and tagline came next, with the creation of complementary marketing collateral to follow, such as stationery and business cards. 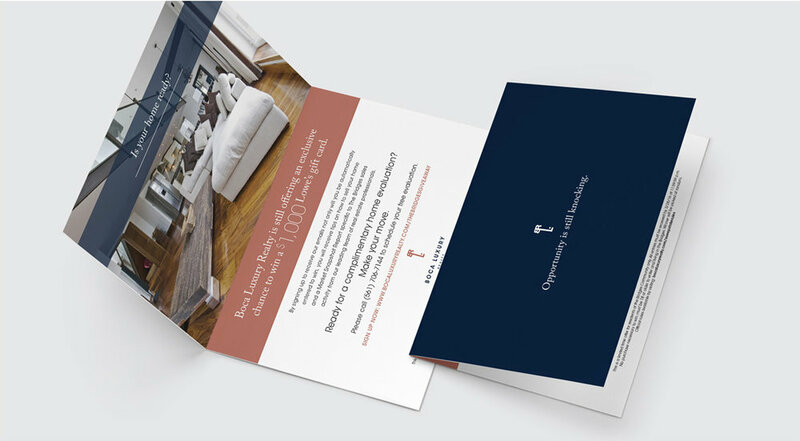 Today, the Boca Raton real estate brokerage has a strong, consistent brand that shows in every aspect of marketing. 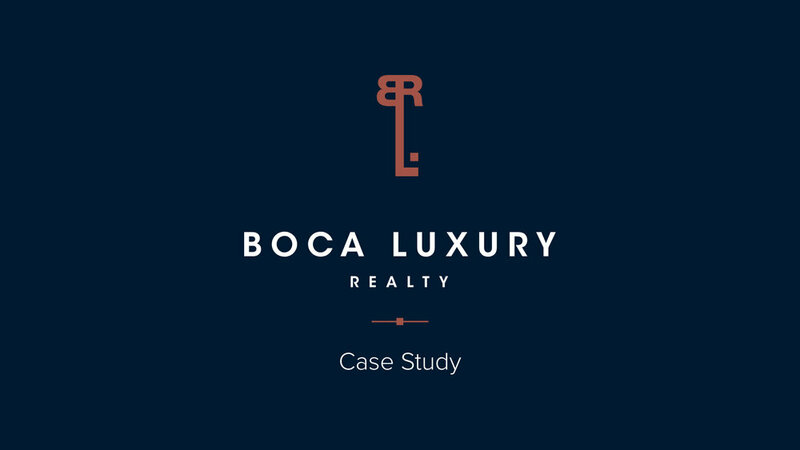 As a direct result of our team's efforts, Boca Luxury Realty has continued to grow in terms of both size and clientele. We look forward to playing a role in the firm's future success by providing keen creative and expert guidance. From there, it was time to tackle the online arena. Our team conceptualized the design and functionality for the company's new website, integrating the IDX feed seamlessly and ensuring it was responsive across devices. With a new site in place, the stage was set for targeted marketing campaigns. 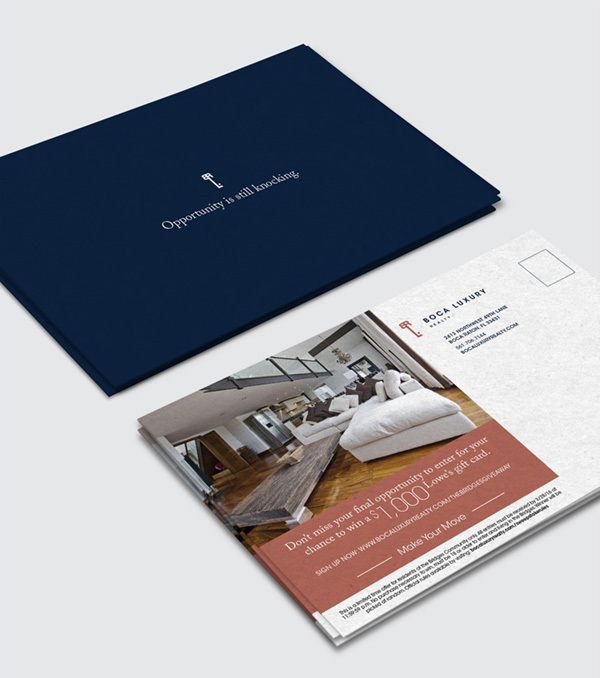 We have continued our partnership since launching the site with several mailer campaigns and print pieces.